From the industrial revolution and the rise of China, to urbanisation and the birth of bitcoin, Matt Ridley demolishes conventional assumptions that the great events and trends of our day are dictated by those on high. On the contrary, our most important achievements develop from the ground up. 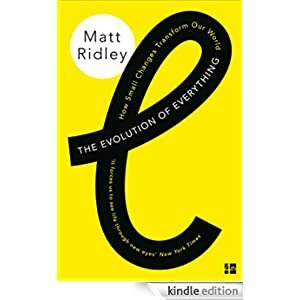 In this wide-ranging and erudite book, Matt Ridley brilliantly makes the case for evolution as the force that has shaped much of our culture, our minds, and that even now is shaping our future. As compelling as it is controversial, as authoritative as it is ambitious, Ridley’s deeply thought-provoking book will change the way we think about the world and how it works. Buy it today for only 99p. This book and many more are available through the end of the month during the New Year New You Kindle Sale. 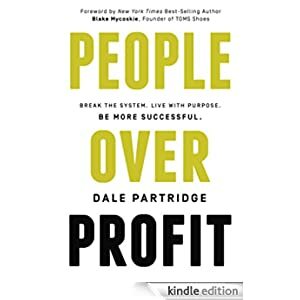 Serial entrepreneur and business visionary Dale Partridge reveals seven core beliefs that create success by putting people first. Every day major headlines tell the story of a new and better American marketplace. Established corporations have begun reevaluating the quality of their products, the ethics of their supply chain, and how they can give back by donating a portion of their profit to meaningful causes. Meanwhile, millions of entrepreneurs who want a more responsible and compassionate marketplace have launched a new breed of socially focused business models. Sevenly founder Dale Partridge uncovers the seven core beliefs shared by consumers, starters, and leaders behind this transformation. These beliefs have enabled Dale to build a multimillion-dollar company that is revolutionizing the marketplace. He believes they are the secret to creating a sustainable world that values honesty over deception, transparency over secrecy, authenticity over hype, and ultimately, people over profit. Buy this book for only 99p today. Making a Success of Brexit and Reforming the EU is the extensively revised and expanded new edition of the acclaimed The Trouble with Europe. 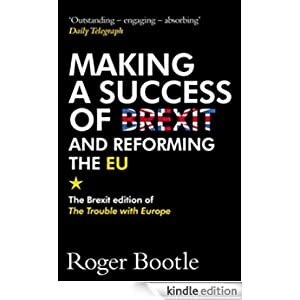 Following Britain’s vote to leave the EU and the ensuing uncertainty in both Europe and the UK, here, one of Britain’s best known economists Roger Bootle, charts a way forward for all. For Leavers and Remainers alike, this book analyses the choices the UK faces about its relationship with the EU – and the rest of the world. It discusses the key issues concerning a ‘hard’ or ‘soft’ Brexit, Free Trade Agreements, the Single Market and the Customs Union, as well as the principles and pitfalls of the negotiating process. This is the essential read as the Brexit negotiations progress. Buy it today for only 99p. 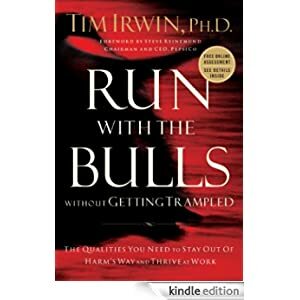 Run With the Bulls Without Getting Trampled features Tim Irwin’s seven critical success factors as well as six common career derailers. With compelling real-life stories to launch each chapter, Irwin distills not only his experiences as a successful corporate psychologist but also what he has learned from others in thousands of interviews with senior executives. Inside you will also find how you can access free online self-assessment exercises and developmental resources.